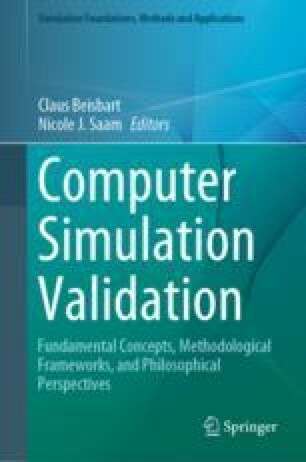 This chapter clarifies the concept of validation of computer simulations by comparing various definitions that have been proposed for the notion. While the definitions agree in taking validation to be an evaluation, they differ on the following questions: (1) What exactly is evaluated—results from a computer simulation, a model, a computer code? (2) What are the standards of evaluation––truth, accuracy, and credibility or also something else? (3) What type of verdict does validation lead to––that the simulation is such and such good, or that it passes a test defined by a certain threshold? (4) How strong needs the case to be for the verdict? (5) Does validation necessarily proceed by comparing simulation outputs with measured data? Along with these questions, the chapter explains notions that figure prominently in them, e.g., the concepts of accuracy and credibility. It further discusses natural answers to the questions as well as arguments that speak in favor and against these answers. The aim is to obtain a better understanding of the options we have for defining validation and how they are related to each other. I am extremely grateful for extensive comments by William Oberkampf, Patrick Roache, and Nicole J. Saam. At a very different level, I wish to express my thanks to my mother, Bärbel Beisbart, who sadly passed away during the time when I was working on this chapter. I dedicate this chapter to her memory. IEEE. (2012). IEEE standard for system and software verification and validation. In IEEE Std 1012-2012 (Revision of IEEE Std 1012-2004) (pp. 1–223), 25 May 2012. https://doi.org/10.1109/ieeestd.2012.6204026. Margolis, E., & Laurence, S. (2014). Concepts. In: E. N. Zalta (Ed. ), The Stanford encyclopedia of philosophy. https://plato.stanford.edu/archives/spr2014/entries/concepts.